Hello dear readers! Most of you know about the crazy journey my family has been on since February 25th. The last time I posted here feels like a lifetime ago! Since things are finally slowing down a little, I finally have some time to write about what’s going on. For those of you who don’t know, my sweet sister Evangelene is a very special baby. 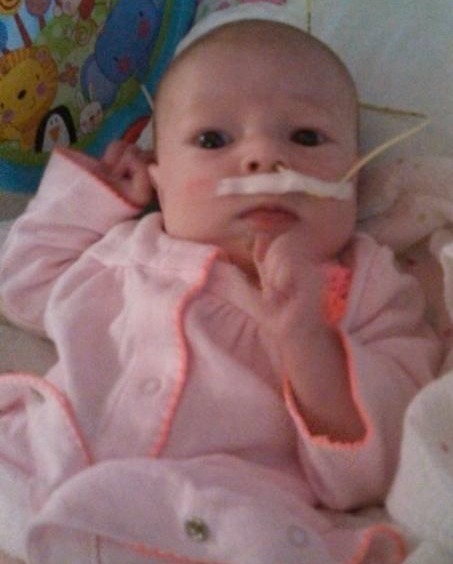 She was born with a right sided Congenital Diaphragmatic Hernia. 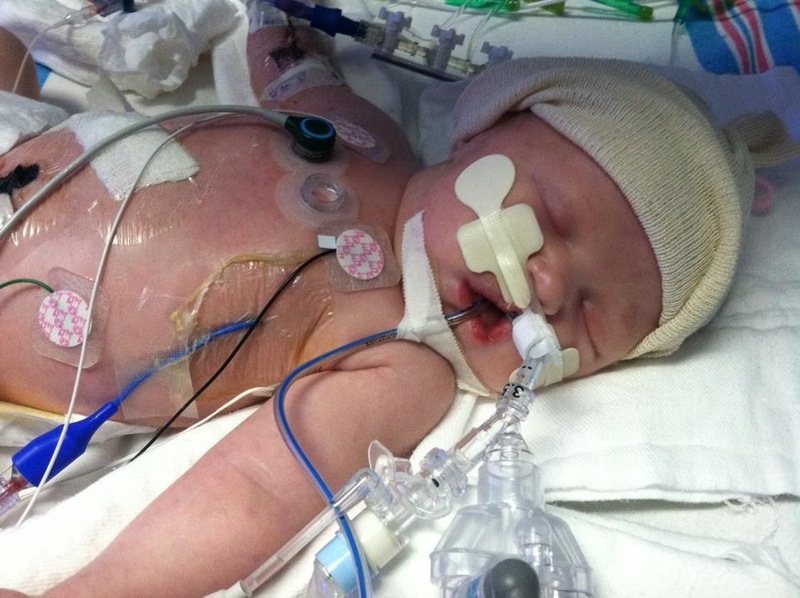 CDH is a birth defect that occurs in about 1 in every 2,500 babies. It pretty much means the baby has a hole in its diaphragm. 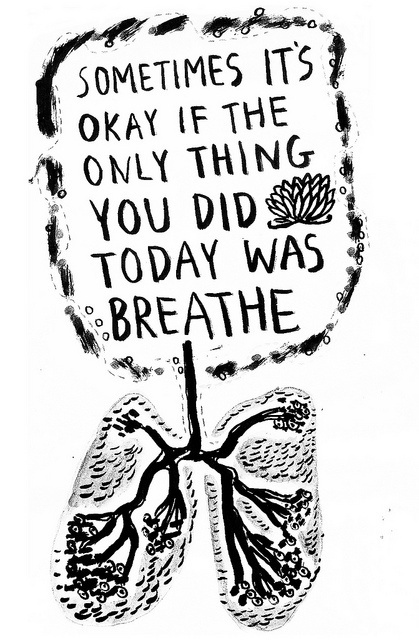 Your diaphragm is a special membrane that separates your organs and chest cavity. 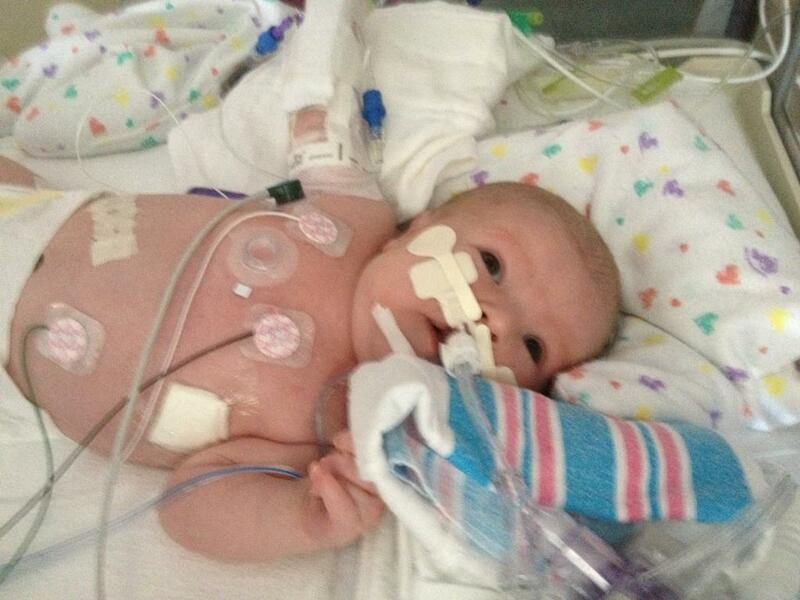 Since Evie was born with a hole in her diaphragm some of her organs were up pressing on her lungs. When she was first born the doctors realized something was wrong when she wouldn’t start breathing. 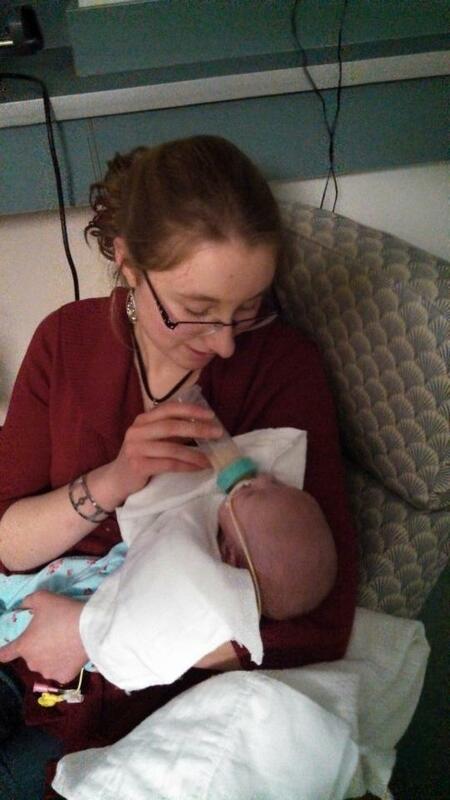 She had to be intubated (put on a ventilator) and rushed to Children’s Hospital in Buffalo. What followed was a very scary time to say the least! 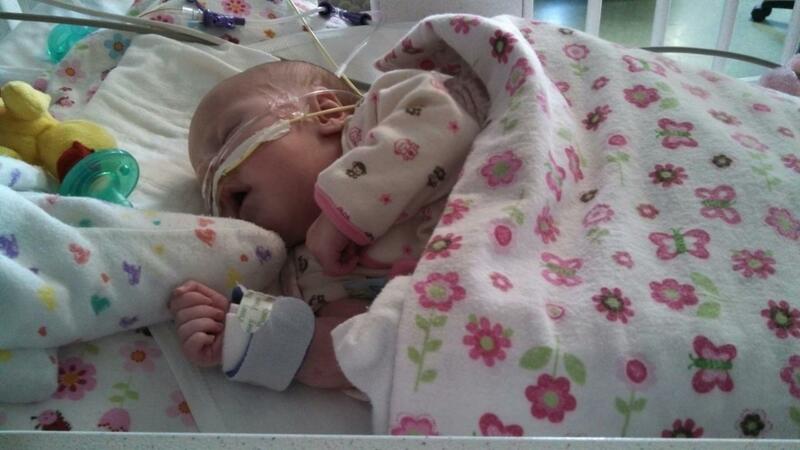 On Friday, March 1st Evie had surgery to try and correct the CDH. The doctors hoped to put her intestines back down where they belonged and sew up the hole in her diaphragm. What they discovered was that Evie was more unique then they thought. 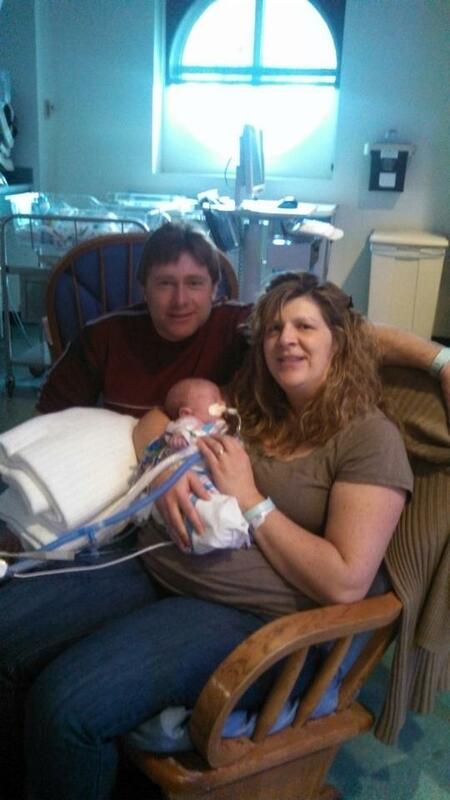 Not only did she have CDH, but she also had Hepatic Pulmonary Fusion, making her 1 of only 8 babies in the world! 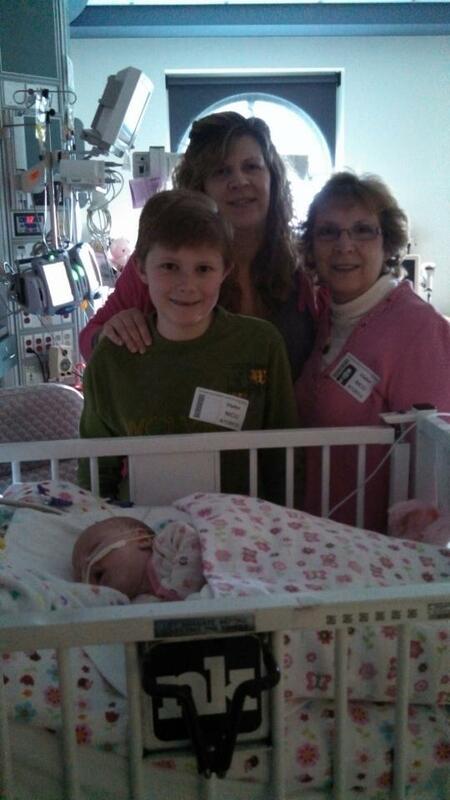 Hepatic Pulmonary Fusion means that Evie’s liver was also up in her chest cavity and was joined to her lung. Although Evie may be classified as having a “defect” it is obvious that she is a perfect baby girl and God is holding her right in the palm of His hand. It’s weird, even though I would never wish for the road my family has been on, I am also grateful for the many blessings God has given us in this hard time. The love and prayers of our family, church and friends has been incredible! The flow of meals and offers of service has been amazing. Thank you to all of you who have prayed for and been there for us! Through this difficult time God has been so good! Evie’s liver is still joined to her lung, but it was discovered that each organ has its own separate blood vessels. This means they may be able to be separated at some point. 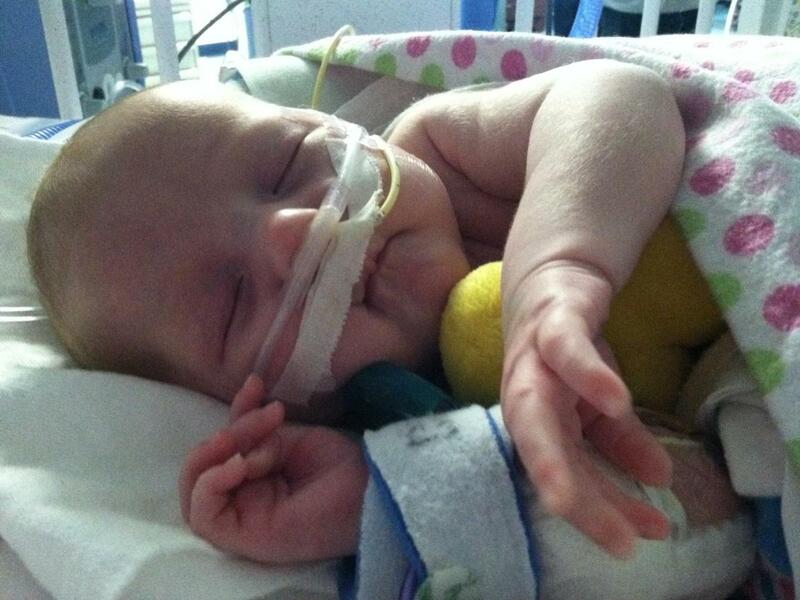 Evie is no longer getting help from the ventilator or nasal canula, and is completely breathing on her own. 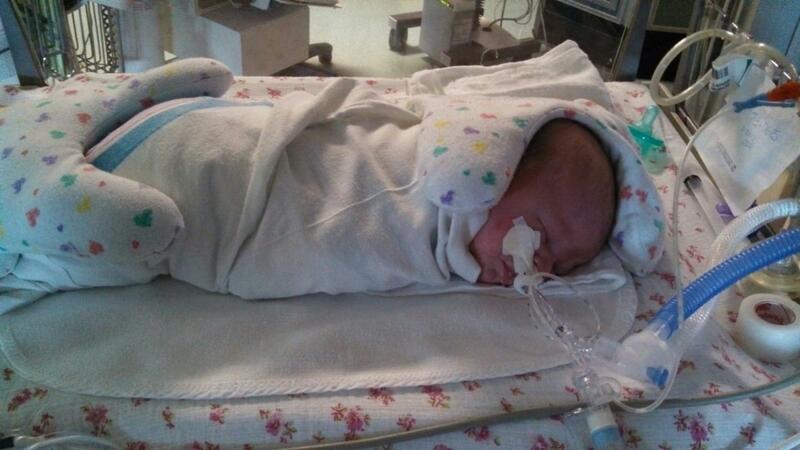 Her feeding tube is only being used at night, during the day my mom is able to feed her. She no longer has any needles, IV’s or PICC lines poking her! All my family can say is glory and thanks be to God for His faithfulness and protection! 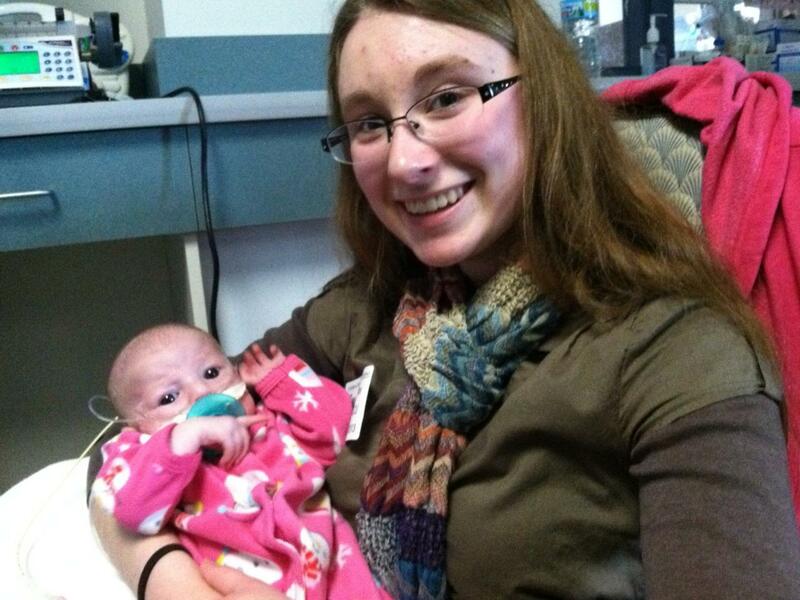 March 10th, a joyful day, Mom holding Evie for the 1st time! Evie with only the nasal canula for breathing! On April 1st I got to hold her for the 1st time! Evie continues to wow everyone who comes in contact with her. Thank you for your continued support and prayers! If you would like more timely updates about her progress you can check out her Facebook page: For the Love of Evie. Thank you! I will try to keep posting frequently!